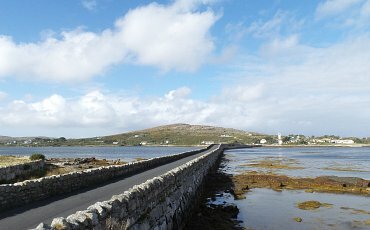 Irland bietet Ihnen eine Auswahl der besten Links und Parkland Plaetze der Welt. 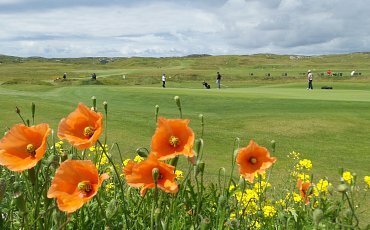 We are proud to offer you a selection of the finest links golf courses to be found anywhere in the world. 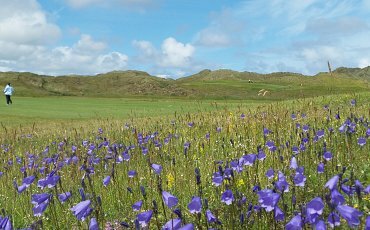 Along the west and north west coastline of Ireland, you will find 12 Championship Links courses including: Connemara Championship Links, Carne Golf Links, Enniscrone Golf Club, County Sligo Golf Club, Donegal Golf Club, Ballyliffin Golf Club. For those who enjoy parkland golf courses you will find some of the finest Championship courses in the world at the K Club (Ryder Cup 2006), Dromoland Castle, Druids Glen, Mount Juliet, Carton House and many more. It is also possible to combine links and parkland courses. Designed and built by Arnold Palmer, this stunning setting represents a true paradise for those willing to challenge what is widely acclaimed as one of the finest links courses in the world. Perched on the very edge of Europe, and set against the spectacular scenic backdrop of the Twelve Bens, there is no better place in Ireland to start your golf vacation than Connemara Championship Links. 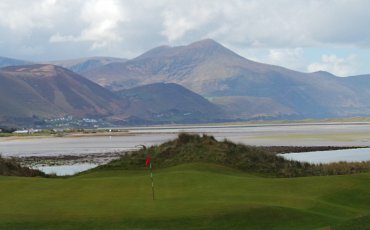 Set in the rugged Connemara landscape, between mountains the Atlantic ocean and the pure white sands of Ballyconneely Bay, this unique and challenging course was designed by Eddie Hackett and in 2000, a further 9 holes were added. 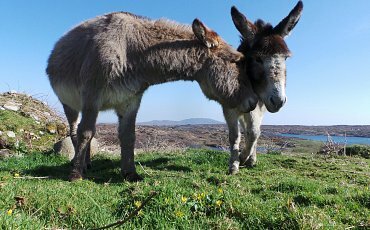 Connemara is one of the finest golf course you will find and has played host to many famous visitors including Tom Watson; one of the greatest players of the modern era with many major victories, including The Open, US Open and US Masters. Situated near the picturesque seaside town of Enniscrone, the course benefits from spectacular panoramic views of the sandy beaches of Killala Bay, Bartra Island and in the distance, the Nephin and Ox Mountains. 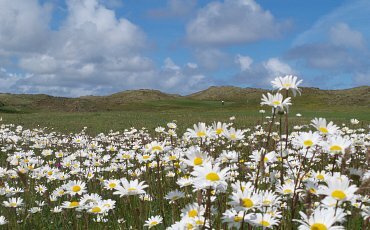 Enniscrone provides golfers with the ultimate golf vacation experience - dramatic dunesland, an inspired design concept, superb greens all year round and breathtaking views. The courses reputation as a top class venue has been embellished with the addition of 6 new holes threading the path through the mountainous dunes. “Dooks is maybe the loveliest little golf club in the world. Certainly I have never been more totally surrounded by superb scenery than at Dooks” David Davies of the Guardian. 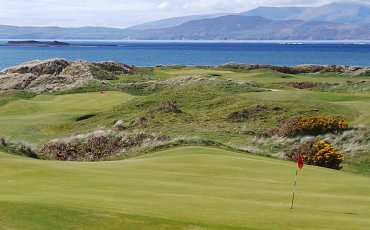 Enjoy Playing One of Ireland's Oldest Links Golf Courses. 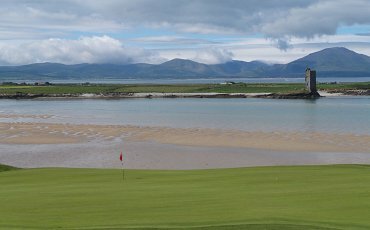 If you are on a golfing break in Kerry you won't want to miss the opportunity to play Dooks - a truly magical location for a stunning golf course. Experience breathtaking views and a unique links challenge that golfers have enjoyed since 1889. 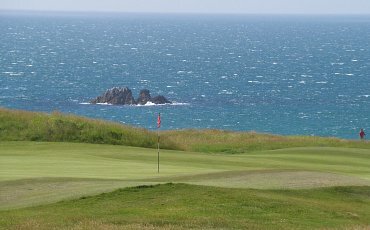 This outstanding links golf course offers a genuine challenge to the accomplished golfer and is an all round “true” test of golf. 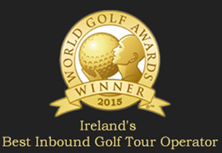 Being one of the longest golf courses in Ireland and Europe, it is ideally suited to big hitters of the ball. 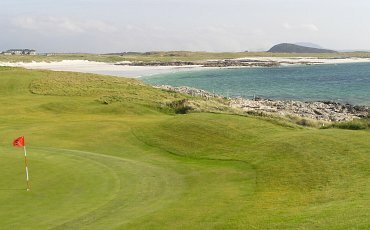 The reputation of Donegal Golf Club at Murvagh, designed by the legendary course architect Eddie Hackett, has been further enhanced by the new designs of Pat Ruddy. Continually featured in Golf Worlds Top 100 Courses in Ireland & Great Britain, this is a real challenge not to be missed. Darren Clarke, one of the heroes of the resent Ryder Cup held at the K Club, has described Donegal Golf Club as “one of my favourite courses in the World”. 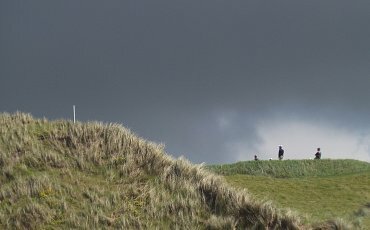 Enjoy a unique golfing holiday in Ireland. 109 Fr. Griffin Road, Galway, Ireland.